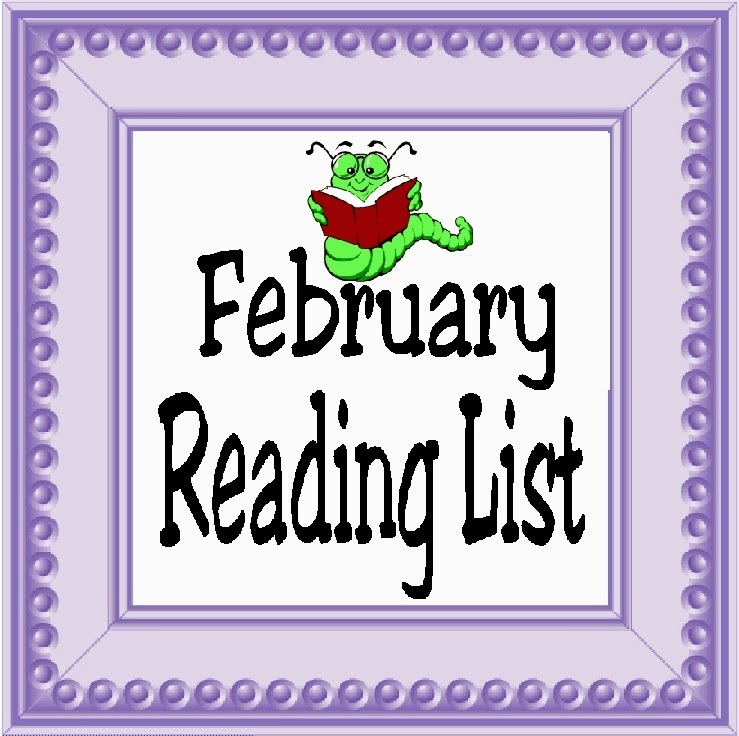 With Valentine's day happening and many other changes looming on the horizon, I didn't get much time to read this month. I know I definitely could have used the escape reading brings me, but in some ways I had a hard time doing much between lack of time, energy, and desire. But I did get a few books in and have started a few others that hopefully I'll finish in March. What are you reading? Do you have any good suggestions for books for me to read? I'm open to almost anything! Daughter of Smoke and Bone by Laini Taylor From Amazon review: "Around the world, black handprints are appearing on doorways, scorched there by winged strangers who have crept through a slit in the sky. In a dark and dusty shop, a devil's supply of human teeth grown dangerously low. And in the tangled lanes of Prague, a young art student is about to be caught up in a brutal otherwordly war. This book was a little unusual for me since I don't normally read about angels and demons, but from the start it was different enough to catch my interest and keep it. At it's very core, this book is a love story, a Romeo and Juliet type love story. I didn't see some of the twists coming, so that was refreshing but the end was pretty abrupt and I'm anxious to find the second book in the series. From Amazon: " Michelina Bellsong is on a mission. She is following a missing family to the edge of America . . . to a place she never knew existed—a place of terror, wonder, and shattering revelation. What awaits her there will change her life and the life of everyone she knows—if she can find the key to survival. At stake are a young girl of extraordinary goodness, a young boy with killers on his trail, and Micky’s own wounded soul. Ahead lie incredible peril, startling discoveries, and paths that lead through terrible darkness to unexpected light. " 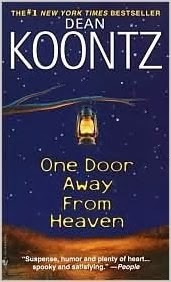 Dean Koontz's books are usually filled with thoughful insights and colorful characters. The story sometimes comes in second to the message burried deep within the book. This book is no different. I enjoyed the story for the stories sake, but was a little disturbed by the cruelty and evil in the "bad guys". I have been thinking alot lately about the differences in people when we are all God's children and made the same choices to come to earth, so to see the complete evil in this book really shocked me. It saddens me that there are people out there and there are people who hold these abominable beliefs. But it also gives me hope that there are good people out there too. People who can see beyond the problems in there own lives. People who can still shine admist the misfortunes of their lives. People who can still live with hope for a better world. "No one can take the gifts God gave you. Only you can throw them away, little mouse. Only you." "We are given this life so we might earn the next; the gift is a chance to grow in spirit, and knowledge is one of many nutrients that facilitate our growth." "Anger was a medicine but never a cure, briefly numbing the pain without extracting the thorn that caused the agony." "From time to time someone so special comes along that upon meeting him or her, the diretion of your life shifts unexpectedly, and you are therwith changed forever and for the better." From Amazon review: " Art student and monster's apprentice Karou finally has the answers she has always sought. She knows who she is--and what she is. But with this knowledge comes another truth she would give anything to undo: She loved the enemy and he betrayed her, and a world suffered for it. 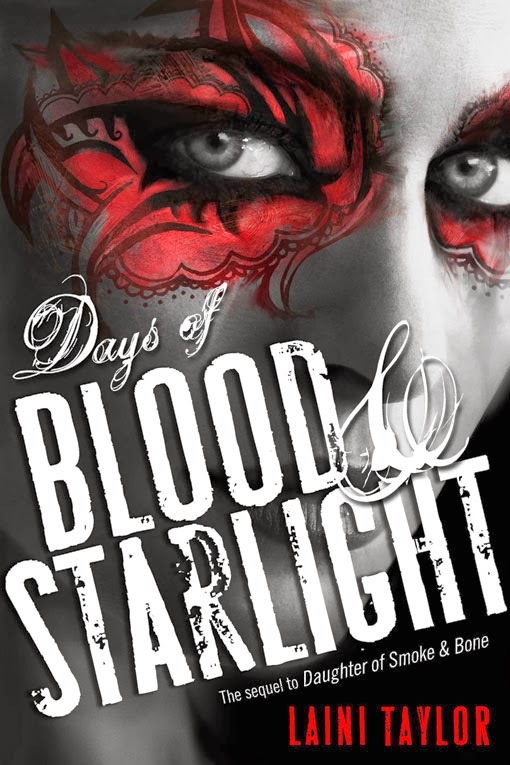 While Karou and her allies build a monstrous army in a land of dust and starlight, Akiva wages a different sort of battle: a battle for redemption. For hope." 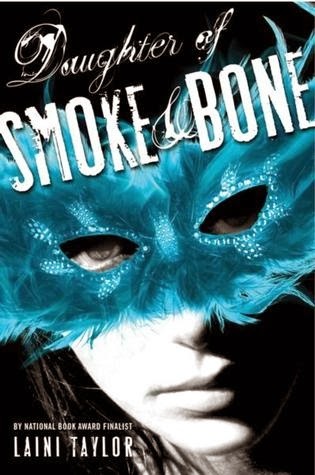 This is the middle book in the Daughter of Smoke and Bone trilogy so I expected it to be a little depressing and sad, but I was a little dissapointed with this book over all. I felt like Karou was a wuss in this whole book. She really didn't stand up for anything or be a strong character that I was proud to read about it. While I get she was upset and full of a lot of anger over what had happend, it clouded everything she did making her dumb and easy to manipulate. It wasn't until she had her friends again that she started to grow a spine and get out of herself. I definetly could have done without the scene where she kills "someone" later in the book (not to give anything away if you want to read it). Everything about that scene was a little forced (no pun intended) and I'm not sure why the author put it in there. I'm sure she could have found a better way to kill this character off and still keep the wholesomeness of the story. I do like how the book ended and am anxious to read the final book, hoping that Karou will find her spine and be the kind of character we can enjoy reading about. And I wouldn't mind if there is a little forgiveness and love found along the way.